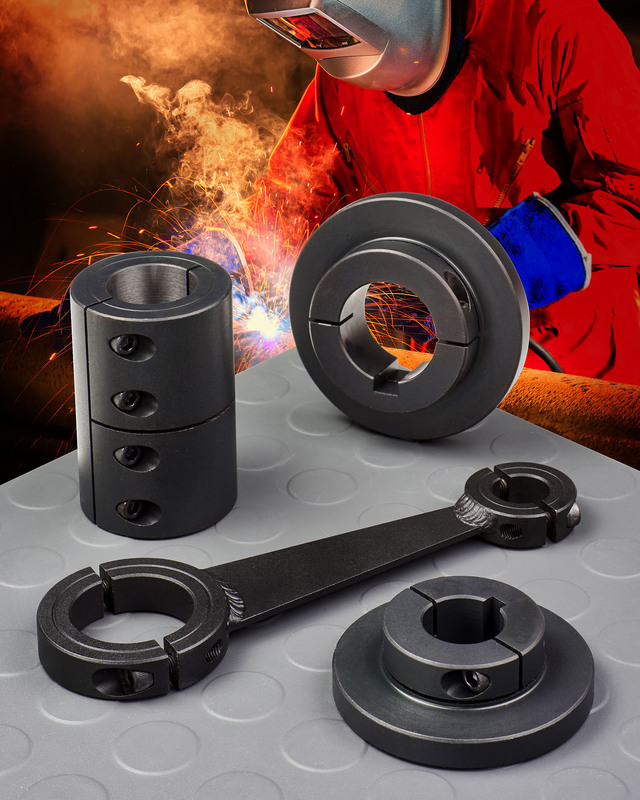 A line of weldable shaft collars, couplings, and mounts that let users modify them to fit their own mechanical and structural applications is available from Stafford Manufacturing Corp. of Wilmington, Massachusetts. Stafford Weldable Components include shaft collars, couplings, and mounts which are available made from ANSI 1018 steel and stainless steel to allow users to modify parts and create custom high-strength assemblies without fasteners. Suitable for mechanical and structural applications, typical modifications include brackets, cams, lever arms, mounts, pins, and rods. Ideally suited for the design and repair of special machinery, conveyors, packaging systems, and racks, Stafford Weldable Shaft Collars are available in one-, two-piece, and hinged styles, Flange Mounts come in 1/4” to 6” bore sizes and Weldable Shaft Couplings are offered in 1/4” to 2” bore sizes. Smooth-, hex-, and square-bores for shafts, pipe, and tube can be supplied. Stafford Weldable Shaft Collars, Couplings and mounts are priced according to configuration. Price quotes are available upon request.